June 29th is an important date on the calendar of many Rioja locals. 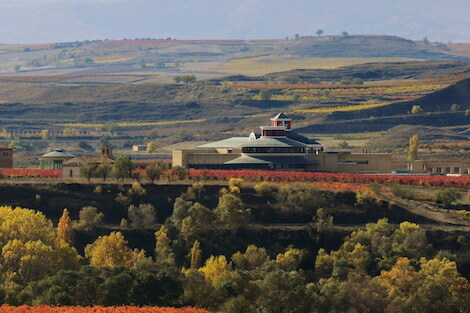 Every year the Battle of Wine takes place in Haro but for Nuria del Río, director of Vivanco Foundation, that day in 2004 marked the debut of a great project she had been working on for six years: the opening of Vivanco Museum of Wine in Briones (La Rioja) which gave a permanent home to the 6,000 items collected by Pedro Vivanco and his family for the best part of 40 years. Nuria’s first steps involved cataloguing and professionalizing the collection at the Vivanco’s family home. 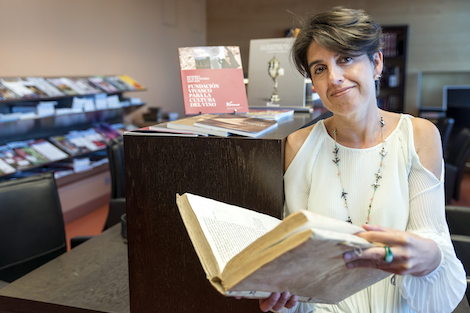 She found a great deal of wine books, a hobby that Pedro Vivanco, who passed away in December 2016, started while he was studying winemaking in Requena (Valencia). Upon his return to La Rioja, Pedro went back to the family winery in Alberite but he never wasted a chance to travel around the world in search of presses, old machines, books, documents and all kinds of wine-related objects. With so much stored material, the Vivanco patriarch —who went on from having two hectares of vineyards inherited from his father to well over 450— contemplated the need to create his own museum. “He always used to say: 'We must return to wine what wine has given us'”, recalls Nuria. “Pedro was a humble man and his initial idea was to have a small museum open to the public, but his collection was so vast that the museum grew to what you see here today”. Although with less media attention, that June 29th saw the inauguration of the Documentation Centre and the Publishing House, which are the pillars of the Vivanco Foundation. “Actually, the Documentation Centre is the soul of the entire project, but it is the least known part of Vivanco. Pedro always longed for the entire collection to be shown to everyone visiting the museum”, says Nuria, who is in charge of safeguarding this huge cultural legacy along Pedro’s children —Santiago, who is the president of the foundation and Rafael, who manages the winery—and their mother, Angélica Sáenz. Visitors arriving at the Documentation Centre, on the first floor of the building that also houses the museum, will find an unassuming room with tables for study, a couple of computers and shelves with wine books and national and international magazines. Nothing makes the visitor think that behind one of those walls rest over 9,000 monographs, 10,000 photographs, 6,000 postcards, nine incunabula and a notable compilation of stamps and coins that turn this wine-related collection into the world’s most important. There is a wealth of historical documents in many languages which describe the relationship between humans and wine over the centuries —from a Venetian wine treatise from 1496 to goods transport contracts from the 17th to the 20th century, as well as original manuscripts by Pablo Neruda or Louis Pasteur, photographs by Henri Cartier-Bresson, a dinner menu of Titanic’s first launch, comics and films and even sound recordings as diverse as opera or popular Spanish songs like La Copa de Vino by Peret. 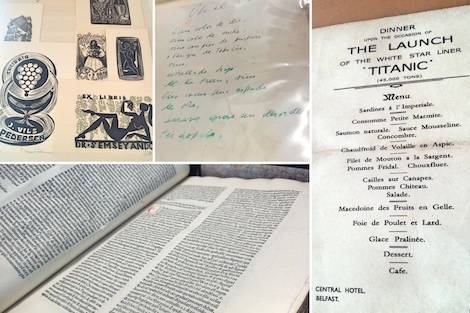 All these documents are gradually being digitized and uploaded onto the foundation’s website. Almost 80% of enquiries are sent online but anyone, with previous appointment, is welcome to visit the Documentation Centre in Briones in person and at no charge. Despite these facilities and the popularity of the museum, with over 75,000 visitors in 2017, the documentation centre barely welcomes 50 visitors per year, most of them researchers. “There’s very little research done about the history of wine. It tends to be studied forward, but there are few gastronomy professionals who have really researched this issue”, laments Nuria, who holds a degree in Documentation and is a doctor in Documental Management. “There isn’t a single university in the world teaching viticulture with a module on history of wine”, says Nuria. She adds that Vivanco pioneered the idea of explaining wine to children. “We have held lots of workshops and educational activities for kids who learn all sorts of things about wine —varieties, the origin of wine or grape juice—using different artistic disciplines. If children learn wine culture from an early age, they will be able to tell the difference between wine and gin when they are older”. A step to encourage further wine history studies is the agreement with La Rioja University to create Aula Pedro Vivanco, a joint partnership aimed at training, research and wine culture awareness. The first session, set to be held on May 3 and 4, will focus on traditional Bodega neighbourhoods. 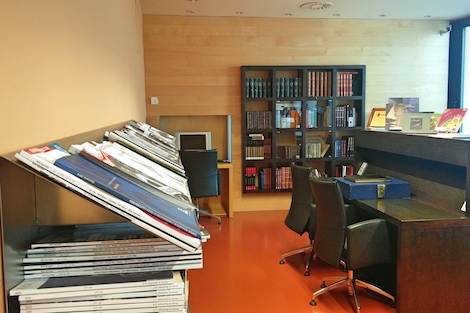 Perhaps this leading documentation centre is little known because Fundación Vivanco, which does not invest on direct advertising, is far from Spain’s larger cities. “We invest in culture, with the risk that it entails. Apart from the archaeological excavations in our vineyard in Tudelilla, we do not apply for public subsidies”, adds Nuria. “We’d rather join forces with other businesses or people in all kinds of disciplines so we can all benefit”. This search of alliances lies behind the creation of the Patrons Council, formed by the likes of Ferran Adrià, doctor Valentín Fuster, historian and academic Carmen Iglesias or mezzosoprano Teresa Berganza, among others. “They bring their specialization and involvement in the project”, explains the director of Fundación Vivanco, which has also signed agreements with CSIC, Spain’s leading research institution, The National Library, Reina Sofía and Lázaro Galdiano Museums in Madrid, Radio 5 or the future Wine Museum in Georgia, among others. 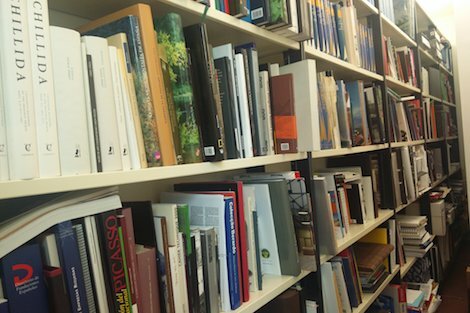 As well as the Documentation Centre —for which the Vivanco family keeps buying material at fairs, prestigious bookstores and through their collecting contacts— the foundation also has a small publishing company to release wine-related books. The last one to see the light is a doctoral thesis written by local politician and historian César Luena about Antonio Larrea, president of Rioja’s Control Board between 1945 and 1971 and a leading figure in the modernization and prestige of Rioja wine. His personal archive, with countless photographs and documents, forms part, alongside a myriad wine stories, of the superb collection stored at Vivanco in the name of wine culture. Can Spain save its ancient subterranean wine cellars?